2015 Bordeaux is a legendary vintage. For those of you who purchased on futures, you made a wise decision. In-bottle scores are on the high end of the score range and prices for the ‘wines of the vintage’ have already sored. In great years, the so-called Petit Chateaux (small houses) are a bargain and you get some very fine for quite reasonable prices. 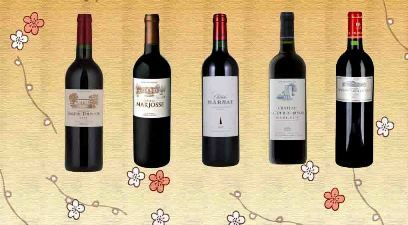 Some of the Petit Chateaux have arrived at deVines and we highly recommend you try some of these while quantities last. Many of these can actually age short-term (2-5 years) easily. Look out for upcoming tastings of the 2015 Bordeaux vintage – Petit Chateaux, Left and Right Bank themed tastings – will be forthcoming in the fall. Its super hot, time for beer! 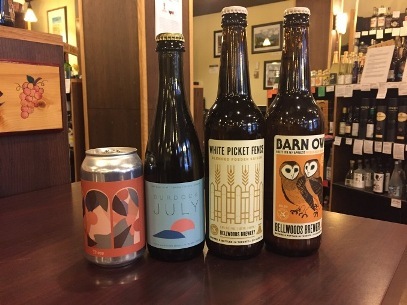 Today, we feature two new Ontario based breweries at deVines – Burdock and Bellwoods. Burdock strives to create balance and elegance in our beers and are heavily inspired by the world of wine. They brewed dozens of styles of beer thus far, some of which we’ve fallen in love with. Bellwoods began as a small brewery, and pub in downtown Toronto. Officially opening their doors to the public in April 2012, they have spent the last 4 and a half years working towards the rather ambitious goal not to run out of beer (due to popular demand). 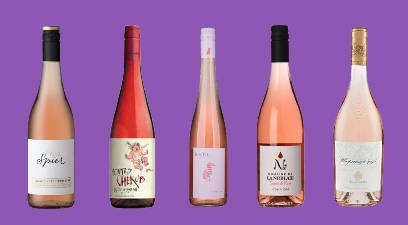 It’s super hot – more rosés are in order. This is our Take two on new Rosé arrivals. We have SO many for you to choose from! Perfect for al fresco drinking, grab some and enjoy the heat. As the summer heats up, whites become more and more popular. Here, i’ve selected seven of my current favourites at various price points. Any and all will impress your guests, its a stellar bunch. I’ve left some personal comments on each. Try one (or all) of them on your next gathering. Indulge! 2015 Real Companhia Velha Evel Douro White (Douro, Portugal) – $21.99 – lovely florals with white fruits, an oily texture, full-bodied and persistent – try with a meaty fish. 2016 Château de Romance Blanc Sec (Bordeaux, France) – $25.99 – Majority Semillon with some Sauvignon Blanc (the complete inverse of what most white Bordeaux are), this is very fine indeed for the price point – dry, minerally, white flowers and brilliant waxy mouthfeel – try with a seafood bisque. 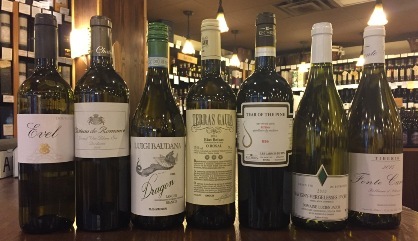 2016 G. D. Vajra Luigi Baudana Dragon Langhe Bianco (Piedmont, Italy) – $31.99 – so distinctive, very minerally and lots of savory herbs, sees time on lees – try with a mushroom risotto. 2016 Terras Gauda O Rosal (Rias Baixas, Spain) – $34.99 – beautiful finesse with this Albarino based white – stylish and fine concentration with notes of herbs, bay leaf and orange peel – fabulous with grilled seafood. 2016 Kechris Tear of the Pine Retsina (Macedonia, Greece) – $39.99 – so unusual with resin, grilled herbs and minerality, this is no ordinary retsina, one of the very best produced – try with a greek salad, or dolmades. Yum! 2010 Domaine Lucien Jacob Savigny-Vergelesses Premiere Cru (Burgundy – Cote de Beaune, France) – $49.99 – lots of yellow apples, a touch of vanilla, pineapple and assorted stone fruits. Very full-bodied and sophisticated Chardonnay – try with a stuff chicken dish with a corn salsa. 2015 Agricola Tiberio Trebbiano Fonte Canale (Abruzzi, Italy) – $84.99 – one of the most terroir driven, ‘speaks of the land’ whites of the year. You can put this in a blind white Burgundy tasting and no one would know its a Trebbiano (nearly 60 year old Trebbiano mind you). White flowers, anise, citrus peel and soil character overwhelm the palate with sensual seductiveness. Quite special and extremely limited. 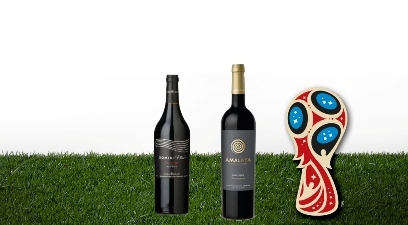 Once every four years (this will be the fourth time for deVine’s) we host this special tasting right in the middle of the world’s most famous soccer tournament, the FIFA World Cup of Soccer – we’ll be tasting wines from seven of the participating countries from favorites Germany to France, Argentina, Euro champs Portugal, Australia and Spain. As for the hosts Russia, we’ll cheat and serve a wine from Georgia, their former republic. Join us for this event scheduled for Saturday, June 23rd at 7pm – $35, right smack in the middle of group play. This is a social rather than technical tasting, and football talk will be referee’d strictly and perhaps one of the attendees will lead us in a chant or song… This is a stand-up event, and a not to be missed party on a scale befitting the sport. Now, that’s quite the lineup! Please register for the event here..